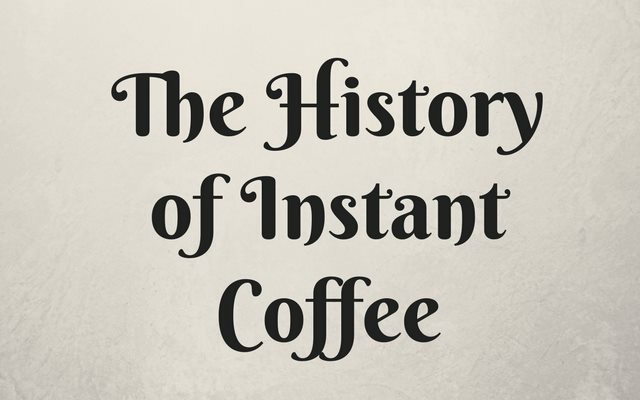 We all have seen and possibly used instant coffee sometime in our life, but have you ever wondered where this dark, mysterious, water-soluble powder gained its popularity? Some might snub their noses at it today, but it has proved to us in the past that it is always ready when we need it most! The first time it was mass produced was in America around 1910 by George Constant Louis Washington (not related to President Washington). He accomplished a great feat and acquired a patent, but the instant coffee powder was perceived by most to be a novelty with a disagreeable taste. Around 1938, Nescafe became the most popular brand; by co-drying coffee extract along with an equal amount of soluble carbohydrate they improved the taste. Currently, the best process for retaining the taste is freeze drying, which came around in the 60’s. I am very happy despite the rats, the rain, the mud, the draughts [sic], the roar of the cannon and the scream of shells. It takes only a minute to light my little oil heater and make some George Washington Coffee… Every night I offer up a special petition to the health and well-being of [Mr. Washington]. Today instant coffee still has a force in the market. It is great in recipes like a quick mocha frosting for a cappuccino cookie. In the grocery store, you will see it in all of the instant cappuccino drinks and blended ice drink powders, some of which are even used in coffee houses. 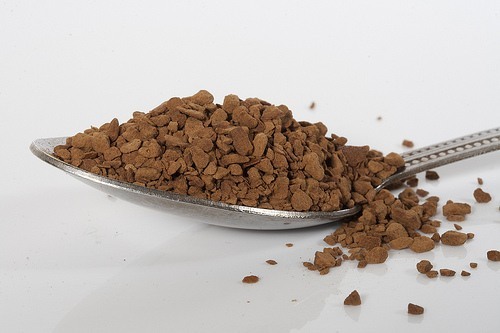 Even the military still provides instant coffee powder for that much-needed caffeine boost. Always in an instant, it is there for you! Next Generation Instant Coffee Reviews – A review of two modern higher-quality instant coffees. 1: Instant Coffee on Wikipedia.